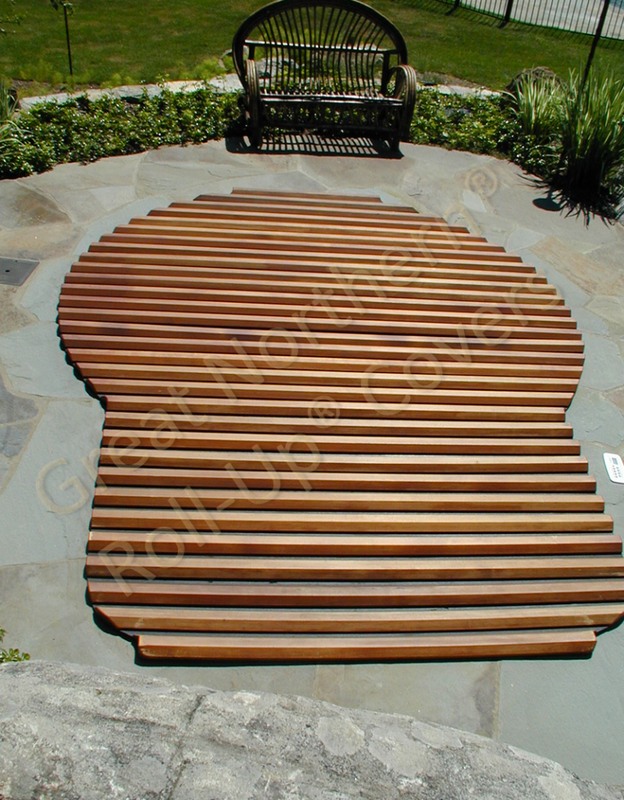 Keyhole shaped Great Northern western red cedar roll-up cover on an in-ground spa. As you can see, this solves both design and safety concerns for a spa built flush with the ground. We can build roll-up covers in any shape. The shape itself does not affect price.